يقع Airport Motel Wellington في مطار ويلنغتون, ولنجتون, هو خيار شائع بين المسافرين. يجذب هذا الفندق ذو 4 نجوم، والذي يبعد 10 Km فقط عن وسط المدينة و 2 Km عن المطار، الكثير من الزوار سنوياً. يضفي محيط الفندق اللطيف وقربه من Wellington International Airport, New Zealand Academy of Fine Arts Academy Galleries, The Children's Bookshop سحراً خاصاً على هذا الفندق. إن الخدمات الممتازة وحسن الضيافة العالي في Airport Motel Wellington تجعل إقامتك تجربة لا تنسى. يقدم هذا الفندق العديد من الخدمات الكفيلة بإرضاء أكثر الضيوف تطلباً. تعكس غرف الفندق البالغ عددها 29 المنتشرة في 2 طوابق جواً من الدفء والألفة.خدمات عصرية مثل تلفزيون بشاشة مسطحة, اتصال لاسلكي بالإنترنت, اتصال لاسلكي بشبكة الإنترنت (مجاني), حوض الاسترخاء, غرف لغير المدخنين موجودة في بعض الغرف المختارة. كما أن مجموعة الخدمات الواسعة الموجودة في الفندق لضمان راحتك تترك لك الكثير من الخيارات لقضاء وقتك أثناء فترة إقامتك. استمتع بخدمات لا يعلى عليها وعنوان ذو اعتبار في Airport Motel Wellington . تتاح انتقالات المطار في العقار من الساعة 08:00 صباحًا إلى 10:00 مساءً. يرجى الاتصال بالعقار لمعرفة مزيد من التفاصيل. Good location for early flights out of Wellington. A bit noisy with other travelers coming and going and not much sound proofing between the rooms but who sleeps the night before heading overseas anyways?! :P Would stay here again. located 5 mins drive from airport, you can see the runway from the motel. Complimentary shuttle provided for pickup from airport. Checkin was quick and hassle free. Our two-room apartment was clean though not very big it was able to fit 3 adults and 1 child with 4 big luggages. There is 'The warehouse' nearby to buy food supplies. No aircon so it might get stuffy and hot during summer. We came during Autumn so it was cool during the nights. I had a night in transit in Wellington, with an early airport start. My accomodation was clean, comfortable and super-close to the Airport. Check-in was easy. Staff member was efficient and helpful. Great restaurant within walking distance (Spruce Goose). Bedding was beautifully clean and super comfortable. Nice shower with good pressure.. 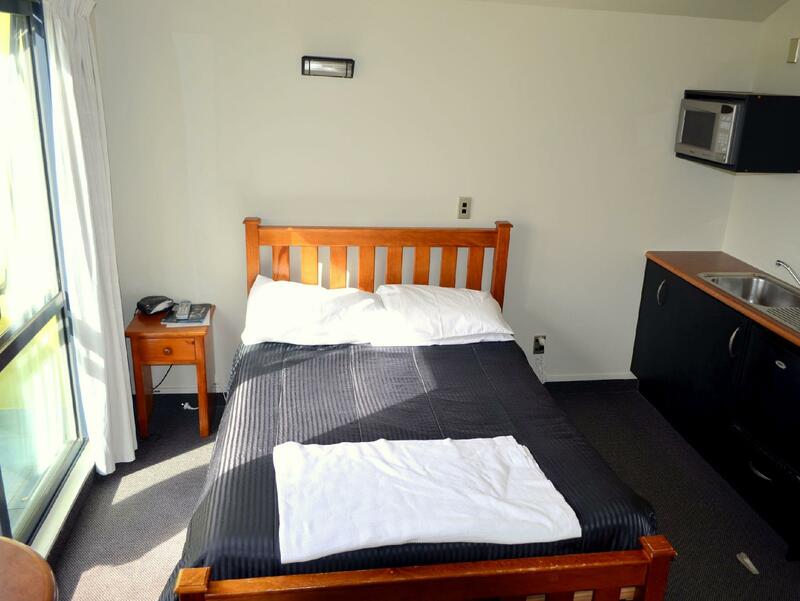 The Airport Motel does just what it says on the tin: provides cheap and comfortable accommodation close to Wellington Airport. It was particularly good for us, as we were catching a Pelorus Air flight from the Wellington Aero Club (3 mins walk away) the next morning, and it was a nice waterfront stroll to Maronui Surf Club cafe for breakfast, but do be warned it's not easy walking distance from the airport, and due to Wellington's rip-off taxi rates you can expect to pay $20 for the ~4 min ride from the airport. To its credit, the motel makes that very clear, and also provides easy after-hours access by sending you a unique code to let you access your room key. Only disappointment was that our ocean view room looked out over the nearby roundabout, which rather dominated the view. Given the silly cost of taxis to the city and the delays often encountered I decided to overnight at the Airport Motels. No regrets. Great cafe 300m down the road and stores across the street plus walk along the beach. Phone at airport gives direct line for prompt pickup on arrival. 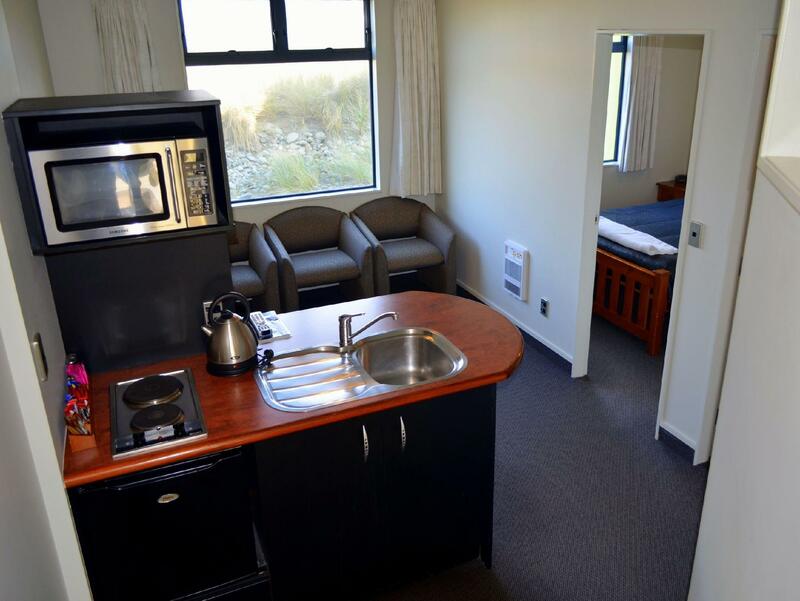 Smallish room but well equipped with fridge, tea and coffee making, microwave. Staff very obliging even running us to airport for free when we'd checked out that morning. Also rang and arranged for the car hire firm to bring us to motel after taking our car back. At first seems a bit far from shops, cafes etc but only 15 to 20 minutes by bus to city centre. Booked a budget room as were only staying overnight. Room was fine for that period but not for a longer stay. Was comfortable but small. Staff very helpful, picked us up from airport, rang car hire firm for us and arranged for them to pick us up to get car. Nothing much in the way of cafes or sightseeing in the area. Wouldn't recommend this motel for anything other than overnight stay. 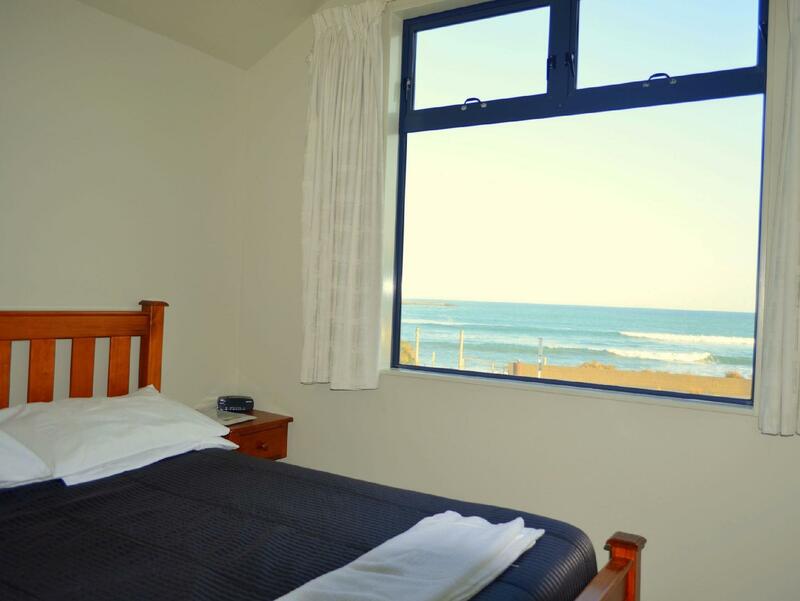 Pros are the great location right in front of a beach, good restaurants and the great staff. Cons are the bathroom had black mold and the rooms don't have Air Conditioning so we had troubles sleeping in the extreme heat. 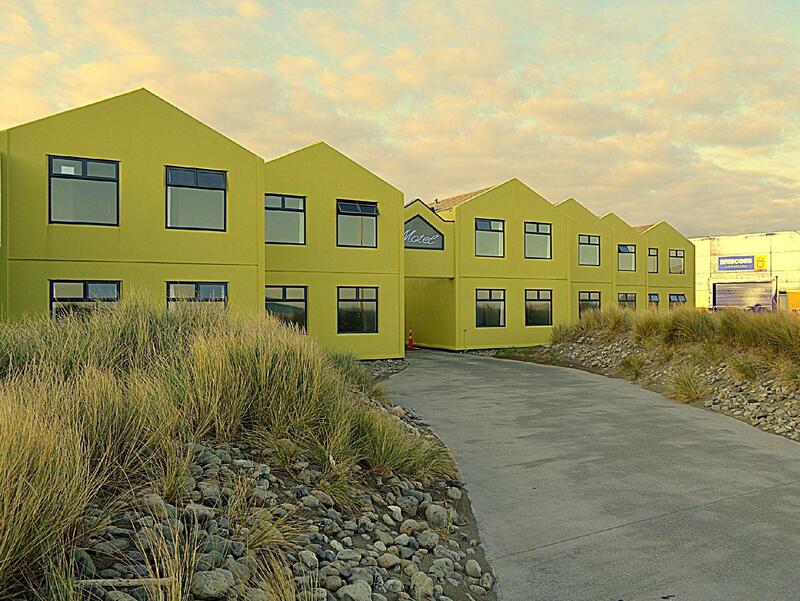 This isn't the nicest hotel in Wellington, but its location can't be beat. You're literally 5 minutes from the airport, but without the normal airport noise. The room itself was quite basic, but the spa tub was a nice touch. For those with very early flights I'd highly recommend. One word of warning, though: this hotel does not have *usable* free WiFi. You only get 100MB free, which to anyone doing anything online at all you'll use up in about 5 minutes. 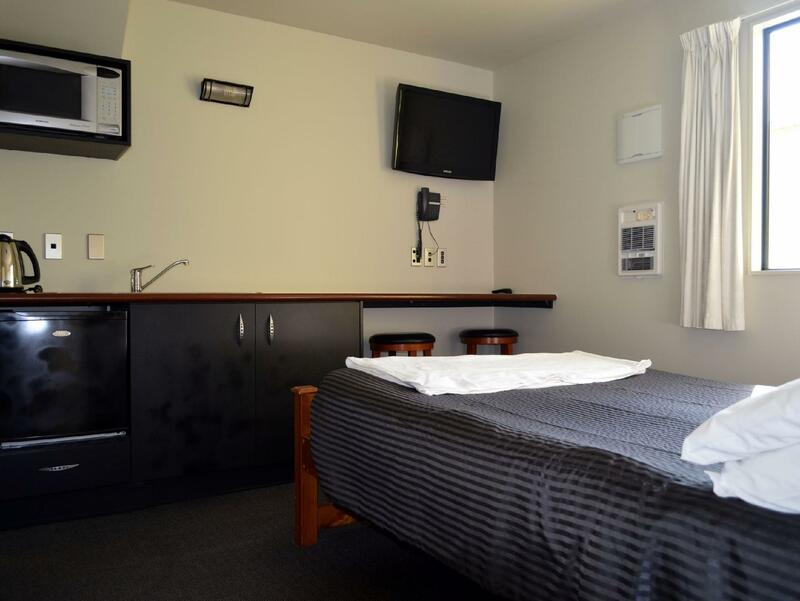 This motel is designed as a short term (over night accommodation for travellers catching early morning flights out of Wellington Airport or arriving on late night (midnight) flights typically from Australia. 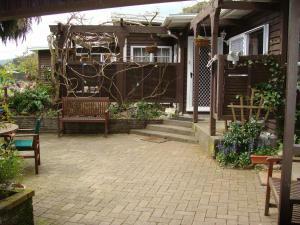 Its well suited for this, close to the airport with reasonable parking. Rooms are not large but do have good bathrooms. The room we had had a double sized bed that wasn't that comfortable. Pillows were terrible. Leaving in the morning was easy, even from the second floor with no fuss key drop off on the way out. We were at the long term car park at the airport within 5 minutes and no drama. Would definitely use again if faced with early morning flights. 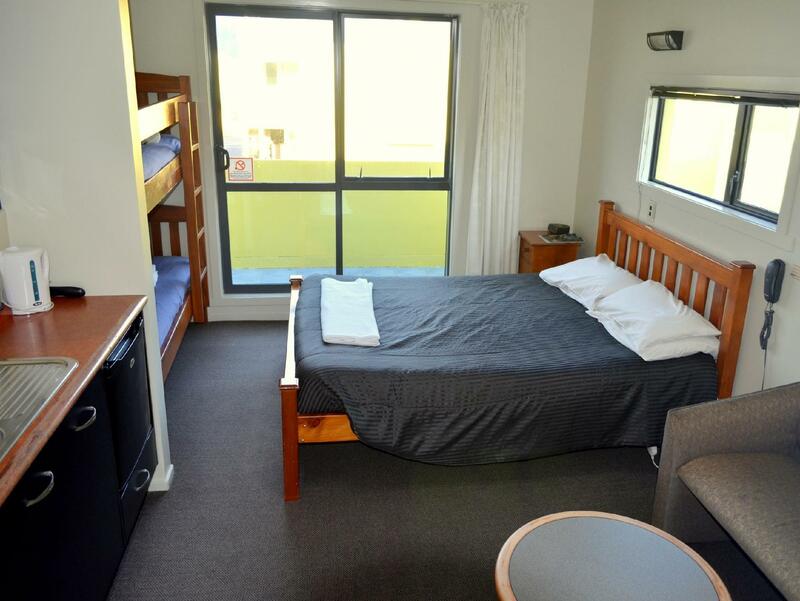 My partner and I were stuck at Wellington airport after missing our flight and desperately needed somewhere to stay so we just booked the closest accommodation and hoped for the best. We were so pleased with the motel - from the free pickup to the spa bath, all the amenities were perfect. The bed was comfy, room was clean, bath was luxurious and the staff were so friendly (Sam, you're a star!). While the room was a bit smaller than the average motel room, it was more than enough for two people. There was ample seating including a bar-style counter in the kitchenette so we had somewhere to sit for dinner. I'm so glad we picked Airport Motel and I'll definitely book here again if I need accommodation close to the airport. The facilities were nice and the space was well utilized (a bit crowded to fitting in a kitchenette, tv area, large bath area, and two bedrooms). I think someone cooked lamb recently because the room had that sheep smell--which isn't the fault of the motel, but it did affect how I felt about the cleanliness. A bus stop for getting to the city is conveniently just down the block. I was disappointed about the lack of airport shuttle before 8 am. Also, when my flight was leaving Auckland I called to tell them what time I'd be there and they said to call the shuttle when I arrived. I did so and was told the wait would be 15-30 minutes. It was close to 15. I thought that was dumb. The gal who picked me up was very friendly and helpful. 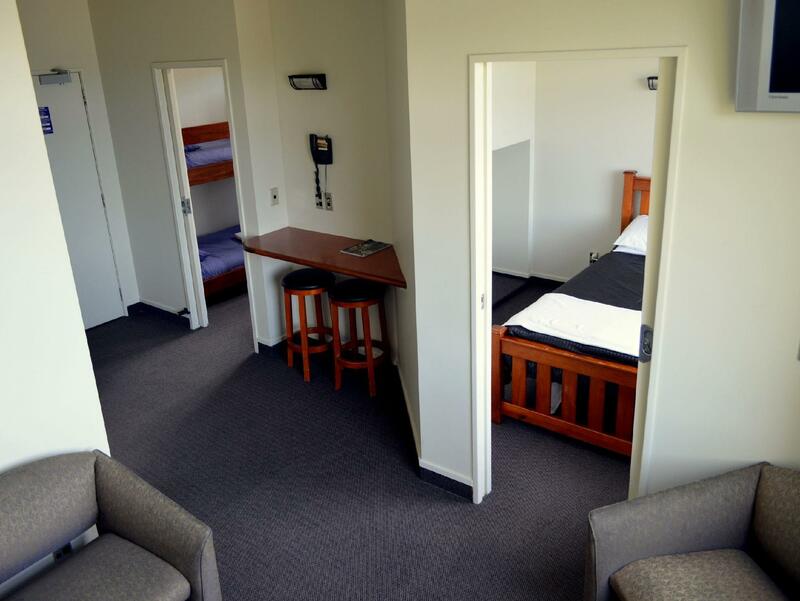 Great if you are looking or accommodation close to Airport.